There are two breastfeeding classes that happen at Life Song Perinatal each month. Both are taught by incredible women, Deborah Craig and Shannon Logan. Read more about them HERE. And each class is slightly different in nature. Deborah’s class is on Saturday mornings and is for women-only. She often has guest breastfeeding women demonstrate, so you can really see how this whole thang works. Shannon’s class is on Thursday evenings, and is open to couples, so the papa or partner gets to learn all about how breastfeeding works, and how to help support the Mama in her incredible efforts. I highly recommend these classes to anyone who is pregnant and also to new parents. And really, the more info the better when it comes to breastfeeding. Get as much as you can! These are such incredible offerings… sign up for both! Come with your honey to the couples class and with that Mama from prenatal yoga class that you’ve been wanting to get to know better for the women’s only class. You (and your baby) will be happy-happy-happy you did! A class for women only. This class will help expecting moms prepare to breastfeed their babies. We will discuss nutritional needs for breastfeeding moms, how our bodies make milk, and how to integrate the breastfeeding relationship into our lives. This class emphasizes frequent early feedings, skin-to-skin contact, feeding on demand, and teaches skills in hand expression and positioning. Frequently, guest breastfeeding women will demonstrate. Information and support for continued breastfeeding after returning to work. A Breastfeeding Class where women can attend by themselves or with a partner. The Breastfeeding for New Parents class will cover latching on, the first week, your milk supply, achieving your breastfeeding goals, baby-wearing and skin-to-skin contact, different breastfeeding holds, life as a breastfeeding mom, and problems, issues, challenges and concerns. 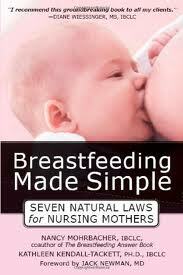 Oh, and the recommended book is “Breastfeeding Made Simple – Seven Natural Laws for Nursing Mothers” – and it’s available at the Life Song store. 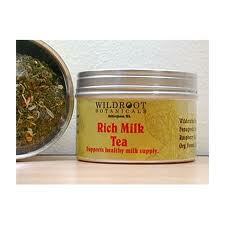 Grab a copy of it and some “Rich Milk Tea” from Wildroot Botanicals while you’re here… the book is a fabulous read and the tea helps bring in tons of thick, rich milk for you and baby.